Pest911 Expert Pest Control in Central Florida from Ocala to The Villages & More! Call Pest 911 Pest Control! Pest 911 is a qualified and skilled pest control company that will exterminate the pests invading your home. We serve the communities of Central Florida! Pest911 did an AMAZING job taking care of my lawn. We had trouble controlling weeds and getting that bright green shine we want in our lawn. Problem solved. We noticed signs of termites when I was preparing my home for a family event. Pest911 quickly inspected and removed the termite infestation. No more termites no more worries! Pest 911 Pest Control is Your Choice for Extermination Services in Central Florida including Ocala, The Villages and more! Pest 911 is the leading pest control service in Ocala, The Villages and surrounding Central Florida communities (including Summerfield FL, Ocklawaha, Belleview, Weirsdale and more!). We provide local residents with the highest quality pest control services available. Pest 911 technicians are trained in the latest and most effective pest control methods that will leave your home or business pest free and eliminate any chance of a pest re-infestation invading your living and working spaces. Pest 911 is proud to offer the highest quality of customer service, leaving our customers completely satisfied and their properties pest free. Pest 911 Pest Control works hard to eliminate the presence of pests from your home. Our technicians perform residential pest inspections to ensure that insects and other nuisances stay away from where you, your family and your pets live and play. Regular residential pest inspections and services from our technicians will ensure that your home is protected from the damage that can be caused by insects and other pests. Residential pest control from Pest 911 is one of the best investments you can make, protecting your home from pests attempting to make your home their own. Pest 911 will protect your home termites with a termite inspection. Termites cause more damage than any other pest and cost millions of dollars each year in home repairs. Termites thrive in a humid environment and Florida offers just the type of climate that termites need to multiply at a rapid rate, gain access to your home and eat away at its structural integrity. 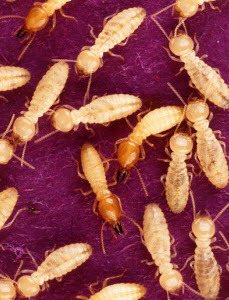 Termites not only eat through the wood of your home, but they will also eat up your drywall and even your furniture. 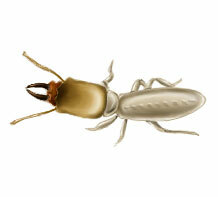 Many termite infestations go unnoticed until a significant amount of damage has already been done. 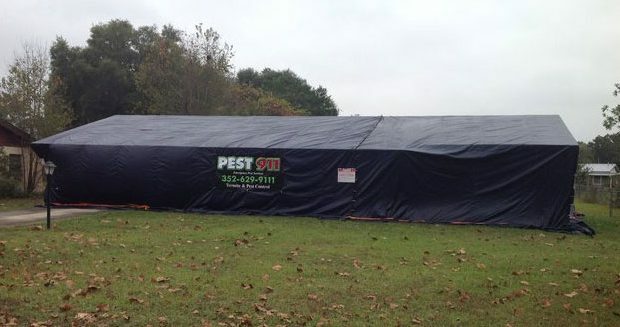 Pest 911 will exterminate the termites (through termite control treatments or termite tent fumigation) that have entered into your home and prevent new termites from re-infesting it. Cockroaches are one of the most disgusting pests that will come into your home. Roaches are usually associated with filth and garbage, however, roaches will infest even the cleanest of homes if they can locate a reliable food or water source. This can be something as simple as a leaky faucet or pipe that will provide plenty of water for a roach to begin growing a healthy colony within the walls of your home. Roaches can adapt to almost any environment and this makes a roach infestation hard to avoid if you are not already treating your home for roaches. Pest 911 knows what it takes to get roaches out of your home and keep them from returning. Ants are the most common household insect and every homeowner will experience the presence of ants in their home at one time or another. Ants and can crawl through the smallest cracks and crevices they can find to gain access into your home. Once inside, an ant will immediately begin searching for food. Ants have a superb sense of smell, making it quite easy for them to locate food. Ants leave an invisible scented trail for other ants to follow, creating a perfectly mapped out trail from food source to nest. This will assist in building a healthy ant colony. Pest 911 will eliminate the presence of ants from your home and make sure they do not come back. Pest 911 will take care of all your pest control needs, eliminating pests from your home or office and preventing any chance of re-infestation. Contact Pest 911 for the absolute best pest control service available. Keep your home and business pest free with the excellent skills and experience our technicians have to offer. Call Pest 911 Today for a FREE pest control quote for your home or property. At Pest 911 Pest Control, we offer fast and effective treatments for residential and commercial pest problems. We are experts in controlling household pests such as ants, spiders and roaches. Our rodent control protocols are highly effective as well. We also solve termite, mosquito, wasp, honeybee and bed bug problems. You can be sure that Pest 911 Pest Control has the solution for you! Copyright © 2016 Pest 911 Pest Control. All rights reserved.